All remaining pit licenses and passes that have not been mailed will be at the Pit Gate. Season Passes will be on sale. The Novelty Stand will be open under the main grandstand. 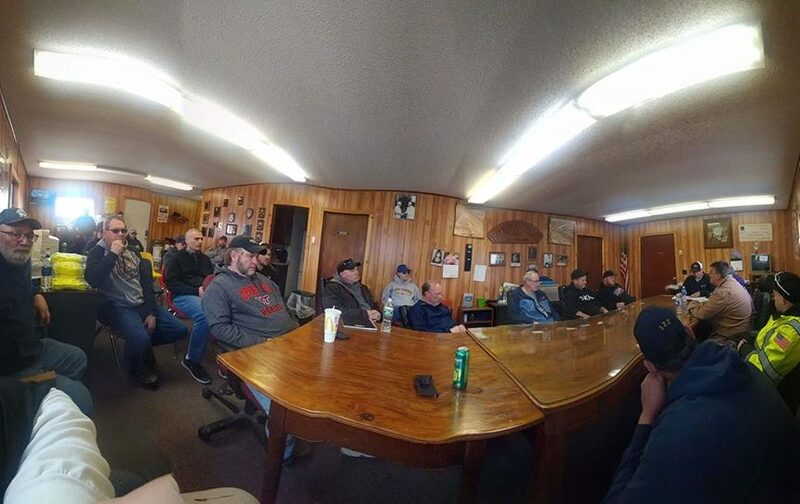 FONDA, NY – On Saturday afternoon April 6, Fonda Speedway management held a staff meeting for employees of the track for the 2019-racing season. Heather Deyo and Denise Page held separate meetings for employees of certain areas of the speedway while Brett Deyo and Jamie Page held a meeting in the Fair Board office at the entrance of the fairgrounds for the remaining employees who were present. 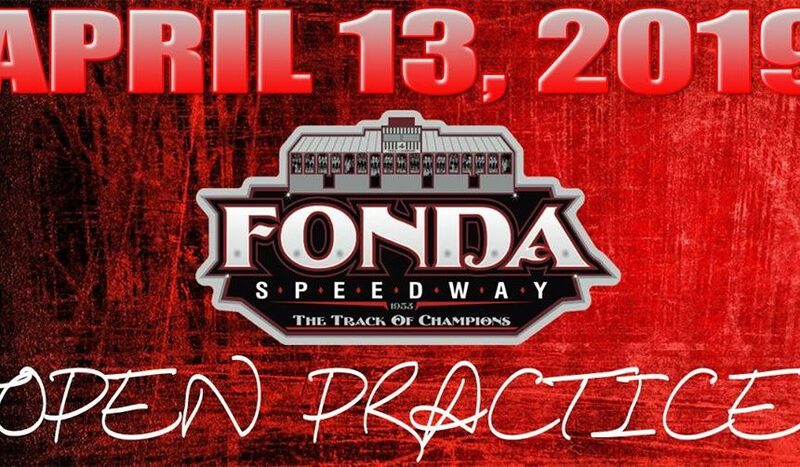 The season gets started at Fonda on Saturday, April 13 with an Open Practice session with gates opening at 2:00 p.m. and warm-ups from 4:00 p.m. to 7:00 p.m. The first actual race of the season will take place the following Saturday, April 20. Also on the April 20 Racing Card will be the Sunoco Modifieds ($4,000 To Win! ), 602 Sportsman ($1,000 To Win Thanks To Eric Orozco Racing), Pro-Stock (Best of 8 Series), Montgomery County Office for Aging Limited Sportsman, and the Trackside Body Works Street Stocks. April events will have front gates opening at 3:30 p.m. with hot laps at 5:30 p.m. and racing at 6:30 p.m. All other Saturday racing programs through the summer will have gates opening at 4:00 p.m. with hot laps at 6:00 p.m. and racing at 7:00 p.m. The order of events during the racing program on Saturdays at Fonda in 2019 will have a weekly drivers meeting in the pit area before hot laps; the National Anthem after the hot laps; heat races for Pro Stocks, 602 Sportsman, and Modifieds in that order; features for the Street Stocks, Limited Sportsman, Cruisers, and Vintage cars; consolation races if necessary; a group victory lane for the winners of the Street Stock, Limited Sportsman, Cruisers, and Vintage features; followed by the Pro Stock, Modified, and 602 Sportsman features with a separate victory lane for each of those divisions. The 50/50 winner will be drawn after the Modified feature. 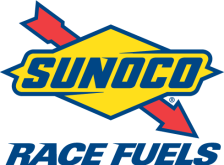 Some new things at Fonda for 2019 will be the Sunoco Race Fuels Start Zone, similar to what NASCAR is doing which gains some exposure for the sponsor Sunoco, and the Race Clean Save Some Green program where if the Street Stock feature stays green for the entire feature event without any cautions the drivers will be admitted into the pit area the following week for free! There will also be a Social Media Policy in place along with rules in the pit area regarding altercations in the pits, which will all be gone over during the drivers meeting on opening day. “Social media can be the greatest or the worst thing for Fonda,” Brett Deyo said. “We want to keep a positive attitude here at Fonda and we want Fonda to be “The Saturday Night Race Track”. With race dates changing in format at a couple of area tracks, there is now no conflict for the Fonda 200 in September. The list of sponsors who have come on board with the “Track of Champions” for 2019 includes the following in no particular order: BD Motorsports Media LLC, Eric Orozco, American Racer Cup presented by Sunoco Racing, Bob Hilbert Sportswear Short Track Super Series fueled by Sunoco, Sunoco Race Fuels Bruce-Insinger of Insinger Performance, Lias Tire, Bob Hilbert Sportswear, Fuccillo Automotive Group, John Lakata, Autism Awareness, Corr Pak Merchandising, One Zee Tees, Greco’s Auto & Truck Parts NAPA, Trackside Body Works, BBL Construction Services, Recovery Room Sports Grill, Palmer’s Service Center, Bill Lake Homes, Montgomery County Office for the Aging, Benjamin Moore Paints, DKM Fabrication, MW Roosevelt & Sons, Roosevelt Towing & Recovery, Teo Pro Car, Montgomery County Championships, Mav-TV, Make A Wish, and School House Pools! 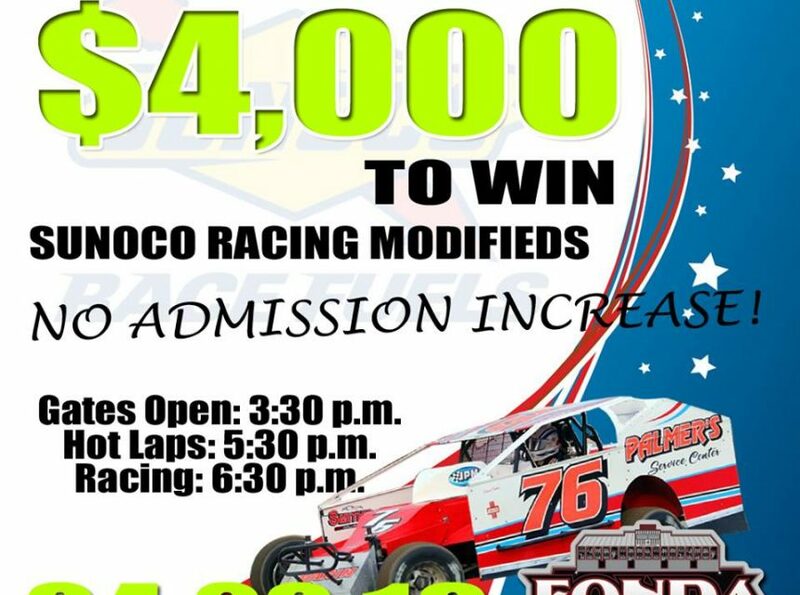 THIS JUST IN… Sunoco Modifieds will now kick off the historic 2019 racing season at the Fonda Speedway with some serious cash on the line. The opening night winner will now take home a $4,000 paycheck! While the stars and cars compete for some big cash on Opening Night, the fans can enjoy this race unfold before their eyes for NO EXTRA ADMISSION COST! That’s right, Adult Grandstand Admission will remain at $11, Seniors 65-plus stay at $9.00 and Kids 11 & under are FREE! FONDA, NY – After a successful Capital District Racecar Show last weekend where many of the Fonda Speedway competitors showed off their cars for the 2019 season, the focus now turns to Saturday, April 13 when an open practice is planned at the “Track of Champions” followed by opening night of the 2019 season the following Saturday, April 20. In case you have missed some of the announcements that have been made throughout the winter months by new Fonda Speedway promoter Brett Deyo of BD Motorsports Media LLC here is a brief rundown of what has been announced since Mr. Deyo took over the reins at the “Track of Champions” last November. Since 1953, the legendary Fonda Speedway has played host to the Northeast’s most talented competitors and passionate fans. For 2019, the “Track of Champions” is poised for a return to prominence. With a new management team under the BD Motorsports Media LLC promotion, Fonda Speedway launches into the 2019 campaign with reduced admission, special events, and larger purse structures. It’s truly a “win-win-win” for supporters of the Montgomery County Fairgrounds half-mile track. Admission for Adults has been rolled back to $11 for weekly Saturday night events in 2019! Seniors (ages 65 and up) pay $9 while Kids 11 and under are FREE. New for 2019 is the Fonda Speedway “Dollar Day” scheduled for May 18 offering $1 admission into the grandstands. This event will feature all classes including the Modifieds. All Fonda divisions will race for more money in 2019! The Modifieds will compete for $2,400 to win, $500 for 10th and $250 to start weekly, a pay structure that totals $12,775. Crate 602 Sportsman now battle for a $700 top prize minimum and $100 to take the green. But it gets better, on 10 Saturday nights during the season, Eric Orozco Racing has risen the stakes, offering $1,000 to win on April 20, May 4, May 18, June 1, June 15, June 29, July 13, July 27, August 3 and August 10. Pro Stocks will race for $500 weekly and a boosted $75 to start! While Limited Sportsman, Street Stocks, and Four Cylinder Cruisers will all be paid throughout the field in the 2019 season. Both the Modified and Sportsman competitors will be eligible to participate in the lucrative American Racer Cup presented by Sunoco! Which distributes $51,450 in cash and hundreds of tire certificates annually to teams competing at American Racer tracks across the Northeast. On Wednesday July 3rd, 2019 the Fonda Speedway will once again be in the limelight of the racing world as national television channel MAV-TV records the “Firecracker 50” $10,000-to-win Modified race from the “Track of Champions” in Fonda, N.Y. for broadcast! 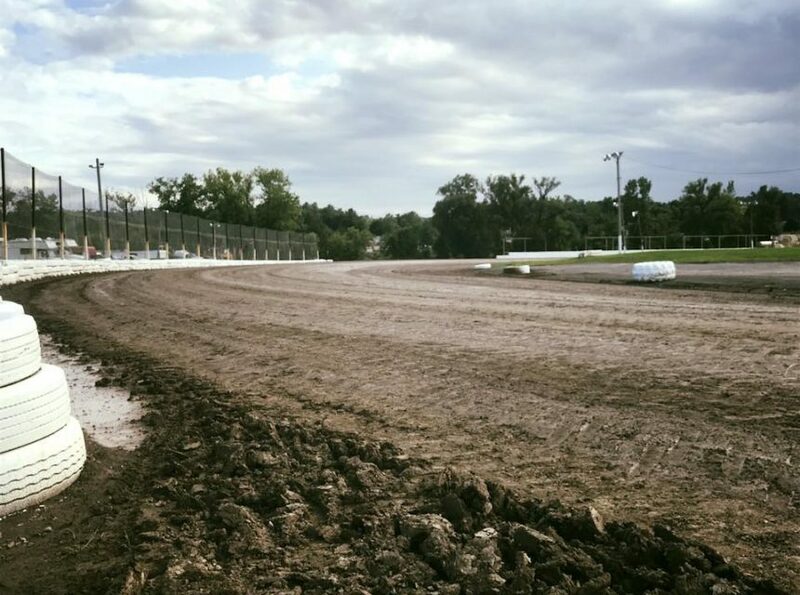 The Bob Hilbert Sportswear Short Track Super Series Fueled By Sunoco Racing & Fonda Speedway officials are amped up for this mid-week event to put Fonda Speedway back on the map on a national level. This event will have promotional support from John Lakata, who organized the wildly successful “Jack” event at the track in 2015. That is the magic number to be paid out at the September 28, 2019 “Return of the Fonda 200”! This historic modified race will pay $53,000 to the winner, $20,000 to 2nd and $10,000 for the 3rd place! Also announced before the event was held, the winner of the Northeast dirt season opening event at the Georgetown Speedway on March 16 will be a guaranteed starter for the Fonda 200. Stewart Friesen was the winner of the event giving him the guaranteed starting spot for the big paying “Fonda 200” event! Dollar Day Coming To the “Track of Champions”! In keeping up with the changes at the Fonda Speedway in 2019, we wanted to do something to send along our appreciation to the loyal fans of Fonda. What better way to do it than having a “Fonda Speedway Dollar Day”! On Saturday, May 18, 2019, when the grandstand gates open up, ticket sellers will be proud to say “One Dollar Please”, and your admittance into the famous Fonda 1/2 mile will be granted. All weekly divisions will be in racing action that evening, which does include the Modifieds! Seeing Double @ the “Track of Champions”! For many seasons at the Fonda Speedway, Modified Twin 20’s were always a night you would not want to miss. In 2019, there will be two nights of double features for the modified division paying $1500 to win each race. June 8th will be the first of the Modified Twin 20’s, with July 13 being the second round of Modified Twin 20’s! With shorter laps in each feature event, it makes the drivers’ urgency to get to the front even more important and makes for some exciting racing! Cowboy Paul Szmal named Fonda Speedway Announcer for 2019! A familiar voice is returning to the “Track of Champions” this upcoming season. Cowboy Paul Szmal will return to the head announcer’s chair to call what we believe will be some iconic Fonda Speedway history making moments in 2019. Paul was the announcer a few seasons ago at Fonda and has been the voice for many racetracks throughout his career. His knowledge of racing and history of the sport will make him a perfect fit into our team. Paul will be assisted by Jay Severson in the tower for the racing season, a knowledgeable duo to take the Fonda Speedway to victory lane in 2019 and beyond. Welcome to Sunoco Racing as the title sponsor of the Modified division at Fonda Speedway in 2019! Thank you Bruce Insinger of Insinger Performance for the outstanding support. Also, welcome to the “Track of Champions” the Montgomery County Office for Aging as they have signed on as the Fonda Speedway Limited Sportsman Divisional Sponsor! The Street Stock division just got better as well as Trackside Body Works in Fonda, New York has jumped on board for the 2019 racing season! To be the headline sponsor of the Street Stock division! Street Stocks will now race for a minimum of $200 to win each event thanks to Trackside Body Works! Pro Stock “Best of 8” Series Announced for the 2019 Fonda Season! Fonda Speedway management has been working hard on an incentive program for the popular Pro Stock division in 2019. Enter the “Best of 8” Series. On eight Saturday nights, the Pro Stock division will race for an increased $800 to win. 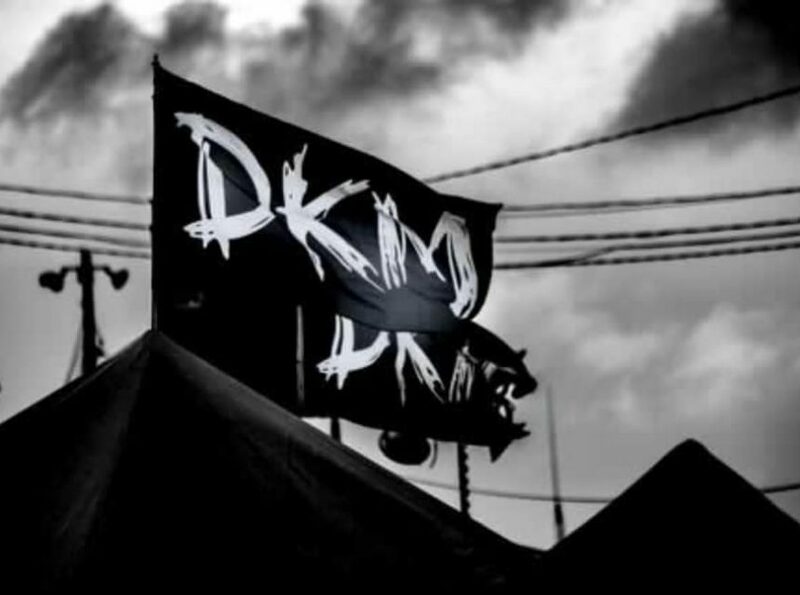 The dates are as follows: April 20, May 4, May 11, June 8, June 22, July 13, July 20, and August 3. Montgomery County Championships for 602 Sportsman & Pro-Stocks! The Fonda Speedway & the Glen Ridge Motorsports Park have joined forces to offer the first ever “Montgomery County Championships” between the two tracks starting in 2019. Separated by a mere three miles, the 602 Sportsman and Pro-Stocks will go to battle to find out who is the best in the county. Each division will use their eight best finishes at the Fonda Speedway, and their eight best finishes at The Ridge with a combined point system kept. There will also be two special challenge races, one at The Ridge on July 6, and Fonda Speedway’s challenge race slated for September 14. 16th Annual Earl Halaquist Memorial! If you grew up going to Fonda Speedway, you knew that on every Memorial Day weekend you could bank on seeing sprint cars at the “Track of Champions”. In 2019, that tradition will continue on as the Patriot Sprint Tour invades the speedway with the running of the 16th annual Earl Halaquist Memorial. Earl Halaquist was a six-time United Racing Club (URC) point champion, and “The Earl of Sidney” sits in the record books with 53 feature wins. Danny Varin is a two-time defending race champion and will look to three-peat at his hometown track in 2019. 602 Crate Sportsman weekly racing just got a little better for the upcoming 2019 racing season at the Fonda Speedway. Frank & Jason Greco from Greco’s Napa Auto Parts in Palatine Bridge New York have come on board to sponsor a weekly Hard Charger Award for the season. The driver who advances the most positions in the weekly 602 Crate Sportsman will receive a $100.00 gift certificate to their store in Palatine Bridge. A special sticker is being produced & must be on your racecar in order to be eligible for the award. In case of a tie, the certificate will be split. The offer is only valid at Greco’s Napa Auto Parts in Palatine Bridge, NY. We will announce when & where to grab your stickers! Bob Hilbert Sportswear Meet & Greet Night! On Saturday night, May 4, 2019 Bob Hilbert Sportswear presents Meet & Greet night at Fonda Speedway, and they are bringing along plenty of goodies! All race teams competing that night will receive a t-shirt, along with giveaway items for the 1st 100 fans to arrive at the speedway that day. Mr. Hilbert & his team will also have special giveaway items for the kids as well! Fonda Speedway and Fuccillo Automotive Group have joined forces in a multi-faceted partnership for the upcoming 2019 season at the legendary Montgomery County Fairgrounds facility. Victory Lane at the hallowed “Track of Champions” is a destination racers aspire to reach. This season, the checkerboard square will bring even more meaning. Fuccillo Automotive Group has signed on to present Victory Lane for the entire season in memory of their longtime employee and avid race fan Mike Cole of Canajoharie, who worked at the Fuccillo Nelliston location. Mr. Cole passed away unexpectedly and the Fuccillo family wanted to honor him at the speedway. Fuccillo Automotive Group has taken a title sponsorship role of the Wednesday, July 3 “Firecracker 50” at Fonda, featuring the first-ever appearance by the Bob Hilbert Sportswear Short Track Super Series STSS Fueled By Sunoco Racing big-block/small-block Modifieds. This 50-lap event offers $10,000 to win plus lap money and is sure to attract top drivers from the Northeast and Mid-Atlantic. The Fuccillo Automotive Group “Firecracker 50” also includes the STSS Crate 602 Sportsman series for $1,500 to win and will be recorded for national broadcast on MAV-TV Motorsports Network, available to more than 35 million households across the country. And there’s more! Fuccillo Automotive Group will provide Fonda Speedway with an official pace truck for the entire 2019 season. Sponsors for the 2019 Racing Season at Fonda! FONDA, NY – Perfect attendance in Fonda Speedway’s open-wheel divisions will be rewarded in 2019. Teo-Pro Car and Fonda Speedway management have joined forces in a partnership that will reward a driver loyal to the ‘Track of Champions’ during the upcoming 2019 season. Competitors in the Sunoco Modified, Crate 602 Sportsman and Montgomery County Office for Aging Limited Sportsman ranks with perfect attendance in their respective divisions will be entered into a year-end drawing to win a Teo-Pro car chassis outfitted with body mounts. The public drawing will take place during the $53,000-to-win Fonda 200 weekend Sept. 26-28. Teo-Pro Car has also signed on as the presenting sponsor of the Fuccillo Automotive Group Firecracker 50 paying $10,000 to win on Wednesday, July 3. The Fuccillo Automotive Group Firecracker 50 presented by Teo-Pro Car will be recorded for national broadcast on MAV-TV. 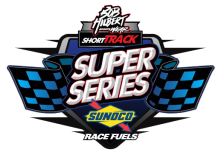 The event is slated for the Halmar International North Region of the Bob Hilbert Sportswear Short Track Super Series Fueled By Sunoco. Founded by Bobby Hearn, Teo-Pro Car has been setting new standards in dirt Modified racing since 1987. Based in Vernon, N.J., Teo specializes in construction, parts and support for high-quality, championship-winning dirt Modified chassis. Teo-Pro offers a complete line of oval-track parts and accessories on the web at teopro.com/shop. Teo-Pro Car is located at 95 Maple Grange Road Vernon, NJ 07462 and can be contacted by phone at 973.764.5500. Find Teo on the web at www.teopro.com. Fonda Speedway, under the management of BD Motorsports Media LLC, gets the green flag on Saturday, April 13 with Open Practice for all divisions. The official Season Opener is planned for Saturday, April 20, featuring Sunoco Modifieds, Crate 602 Sportsman ($1,000 to win by Eric Orozco Racing), Pro Stock American Racer Best of 8 Series ($800 to win), Montgomery County Office for Aging Limited Sportsman and Trackside Body Works Street Stocks. Fonda Speedway and Fuccillo Automotive Group have joined forces in a multi-faceted partnership for the upcoming 2019 season at the legendary Montgomery County Fairgrounds facility which is fast approaching with Open Practice on Saturday, April 13 and the Season Opener Saturday, April 20. Victory Lane at the hallowed ‘Track of Champions’ is a destination racers aspire to reach. This season, the checkerboard square will bring even more meaning. Fuccillo Automotive Group has signed on to present Victory Lane for the entire season in memory of their longtime employee and avid race fan Mike Cole of Canajoharie, who worked at the Fuccillo Nelliston location. Mr. Cole passed away unexpectedly and the Fuccillo family wanted to honor him at the speedway. Fuccillo Automotive Group has taken a title sponsorship role of the Wednesday, July 3 ‘Firecracker 50’ at Fonda, featuring the first-ever appearance by the Bob Hilbert Sportswear Short Track Super Series (STSS) Fueled By Sunoco big-block/small-block Modifieds. This 50-lap event offers $10,000 to win plus lap money and is sure to attract top drivers from the Northeast and Mid-Atlantic. The Fuccillo Automotive Group ‘Firecracker 50’ also includes the STSS Crate 602 Sportsman series for $1,500 to win and will be recorded for national broadcast on MAV-TV Motorsports Network, available to more than 35 million households across the country. And there’s more! 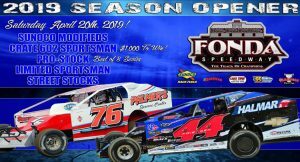 Fuccillo Automotive Group will provide Fonda Speedway with an official pace truck for the entire ’19 season. Fuccillo Automotive Group boasts 29 locations in New York State and Florida with brands including Buick, Chevrolet, Chrysler, Dodge, Ford, Hyundai, Jeep, KIA, Lincoln, Mitsubishi, Mazda, Nissan, RAM, Subaru, Toyota and Volkswagen. To learn more, visit www.fuccillo.com. FONDA, NY – The Montgomery County Office for Aging Inc. and NY Connects have entered into a marketing awareness agreement with Fonda Speedway. For the approaching 2019 season, the Fonda Speedway Limited Sportsman division will be presented by the Montgomery County Office for Aging Inc. The office takes naming rights for the division starting Saturday, April 20 with the annual ‘Track of Champions’ Season Opener. 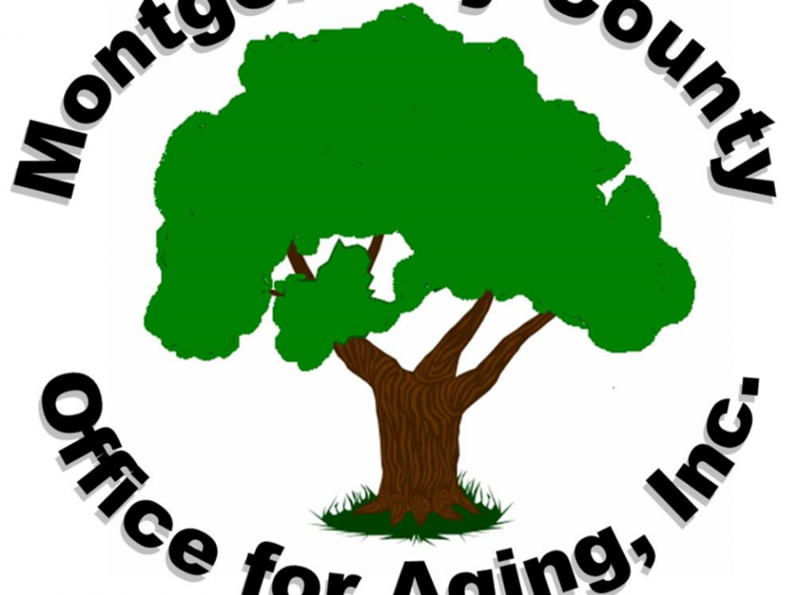 Based in Amsterdam, N.Y., the Montgomery County Office for Aging Inc. is committed to serving Montgomery County senior citizens and their families by helping elderly maintain their independence and quality of life. Their work environment is one in which everyone is treated with respect, dignity and professionalism. All of the programs are specifically designed for adults 60 and older. The Office for Aging offers a number of services including family caregiver support, care assistance, balanced, nutritious meals, Home Energy Assistance Program (HIICAP), Expanded in-home Services for the Elderly (EISEP), home-delivered meals, information and referral, legal services, nutrition and education counseling, Montgomery County Connects, senior identification program and telephone reassurance. The Montgomery County Office for Aging will also have signage at the speedway. To learn more, visit www.officeforaging.com or check out their social media channels. The Montgomery County Office for Aging Limited Sportsman start their championship chase on April 20 and are included in Fonda’s weekly programs through the August 10 Championship Night.